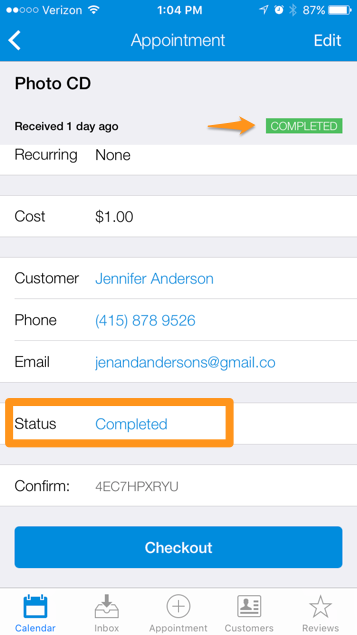 Marking an appointment as “Complete” from your Calendar, Inbox, or Customers tab can have the significance of your choosing. It isn’t linked to anything and doesn’t trigger anything, so it’s up to each business owner or manager to use it however he/she wants. It can mean anything you want it to. 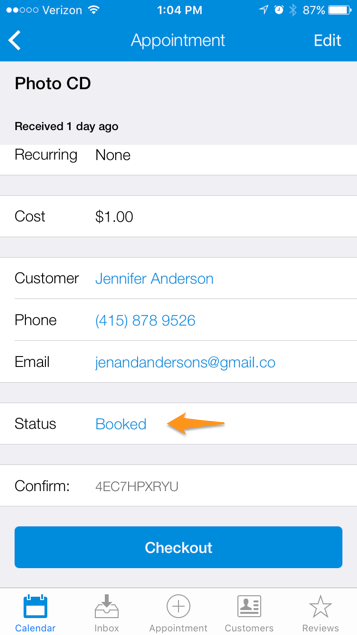 You can also "complete" an appointment from the Manager app on your phone. Tap on it in your calendar, then tap the Status line. 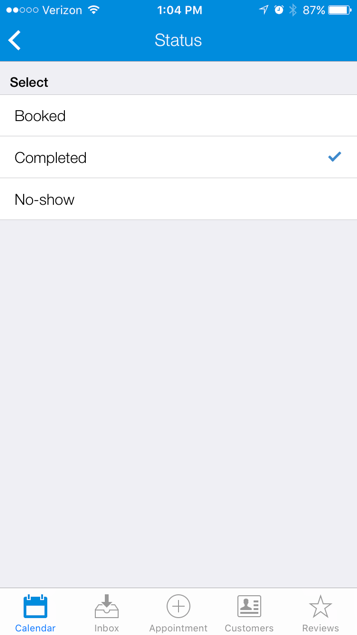 Next, tap "Completed" on the next screen. You'll then see that the new status is "Completed" and there's a green "Completed" banner at the top of the appointment details as well. 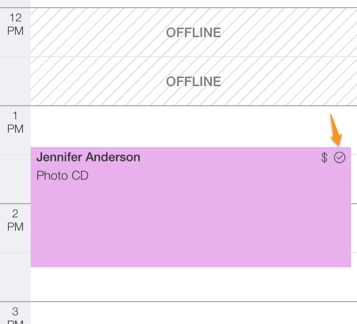 Completed appointments are indicated by a grey arrow with a circle around it on the Manager apps.